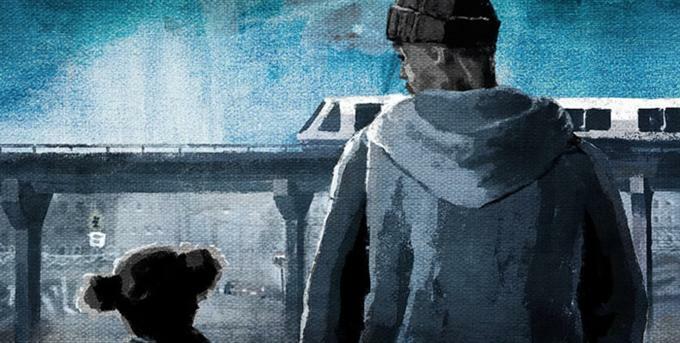 If you follow the film industry to any further depth than the most visible fare of summer blockbusters and reboots/remakes, you have probably heard of the little movie that could, Fruitvale Station. Fair warning: This post is technically full of spoilers for the movie, however the film itself is based on a true story that was widely reported upon in 2009, so I don’t think it hurts your moviegoing experience to know these details if you haven’t seen the film yet. The film is based on the true story of Oscar Grant III, a 22-year-old man who was wrongfully murdered by the BART (Bay Area Rapid Transit) Police Department in 2009. The movie, aside from being well made and well acted, has also received additional attention/acclaim due to its uncannily timely inclusion of hot-button issues like post-racism-era racism (water fountains are open for all to use, but young African American men are still being targeted and attacked, etc. ), the saturation of gun culture, and the widening socioeconomic gap between the “haves” and the “have even mores” (I can’t in good conscience really refer to any non-homeless American citizens as “have-nots” in contrast with the true poverty that is experienced globally, but that’s a post for another time). However, despite all the sensitive topics explored in this film, what truly makes it a movie that depicts the gospel through art is the honest lens with which it paints the everyman struggle. Stripped of its details, Oscar’s story is our story. Humans are abstract creatures, capable of understanding complex problems and producing equally complex solutions. But in spite of all that, we still prefer stories and struggles built on simple, black-and-white/yes-and-no conflicts. This is part of the reason that epic tales like Lord of the Rings, superhero movies, and films like Les Miserables are so entertaining. This, however, is gospel in art, and what’s mesmerizing about Fruitvale Station is that it chooses to give us a real, truthful portrayal of the type of conflicts that we actually encounter. There is no evil smoke monster or fire-breathing dragon or even conniving stepmother in Fruitvale Station. There is no dark wizard king, no vampire overlord, no kidnapper mastermind and his army of henchmen. There is just a series of people making good or bad choices with varying levels of malice or forethought. This is the malevolent brilliance of the Enemy’s agenda against us. Satan and his posse know that we, for the most part, can identify and resist the obvious “monster” sins set against us (murder, adultery, etc. ), so they instead try to sneak in a never-ending rush of smaller, harder-to-identify, morally ambiguous sins — knowing full well that committing any one of these is just as effective at preventing us from achieving righteous perfection as any of the others. Oscar Grant III should never have died the way he did. And if Fruitvale Station raises awareness and fosters tolerance, it will be a worthy tribute to Oscar’s life. But if Fruitvale Station creates the deep self-awareness and self-examination that the Spirit can use to reconcile broken people to Christ, it will have truly become the gospel, in art. This makes it a more important film than any Academy Award could signify. "Satan and his posse know that we, for the most part, can identify and resist the obvious â€œmonsterâ€ sins set against us (murder, adultery, etc. ), so they instead try to sneak in a never-ending rush of smaller, harder-to-identify, morally ambiguous sins." It is refreshing to hear about a movie that portrays a realistic depiction of sin we all struggle with rather than another tale of some giant monster that is so obviously evil. I have never seen the movie, but I would guess that it would help open our eyes to our own depravity and need for a savior. Looking forward to watching it! Thanks, Dustin! Dustin, thanks for your contribution. The two most significant things that stand out to me are: (1) art mustn't have an inherently Christian agenda to be a picture of the gospel, and thereby edifying for the Christ-follower; and (2) whether fiction or non-fiction, great stories draw us in and cause us to think about life and the world we live in.